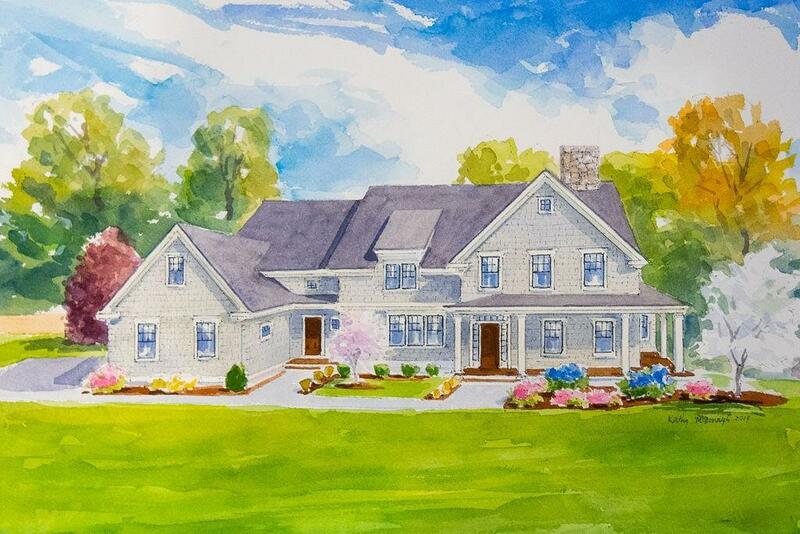 Another Masterpiece to be built in the coveted Burnham Farms neighborhood. This Shingle Style Colonial will offer 6 bedrooms, 6 1/2 baths on 3 levels with over 6600 square feet of living area and feature the finest craftsmanship throughout. Thoughtful insight and preparation will impress the finest buyers. An open concept chefs kitchen with custom cabinetry and ample counter space sets the tone accompanied by an elaborate butlers pantry The formal dining room is timeless with exquisite character and quality. Enjoy the warmth and comfort of the living room and family room fireplaces surrounded by gorgeous finish work and built-ins. A much desired first floor bedroom suite with full bath and access to the patio is perfect for guests. Of course, the must have spacious mudroom offers plenty of cubby and closet area. Generous ensuite bedrooms throughout the 2nd and 3rd levels including the grand master suite. Step outside to the exceptional back yard that will be the envy of others. Listing courtesy of Bryan Joyce of Compass. Disclosures 400 Amp Electric Service. Electric Radiant Heat in Master Bathroom. Malbec Cedar Wood Shake Siding Color Seacoast #204. Insulation - Fiberglass Dense Pack System. Listing provided courtesy of Bryan Joyce of Compass.